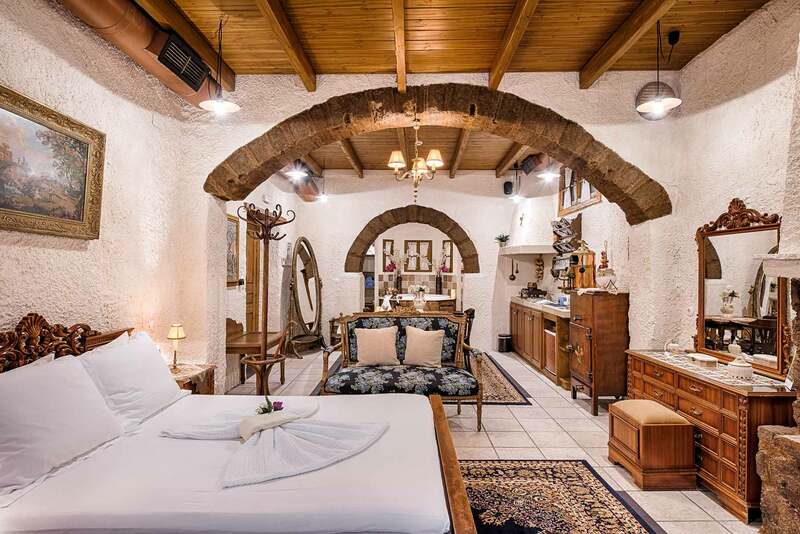 Staying at Koukos Rhodian Guesthouse is a uniquely nostalgic yet comfortable experience that adds a special touch to your holiday in Rhodes. 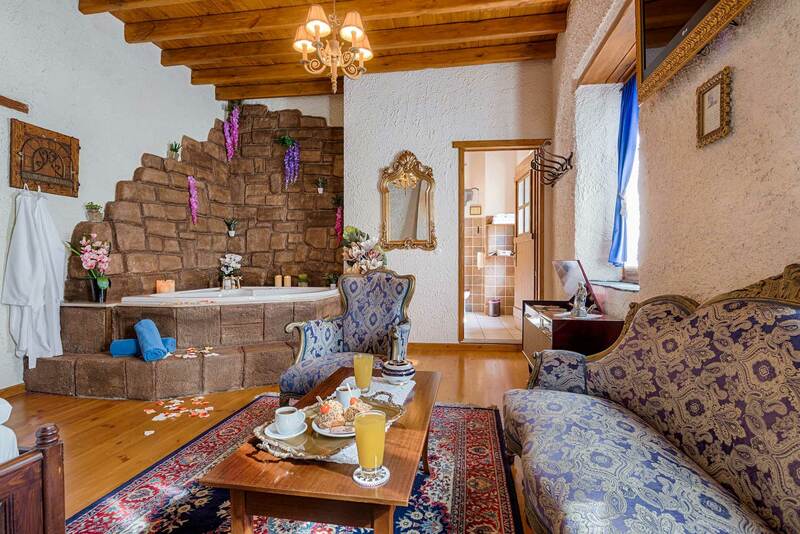 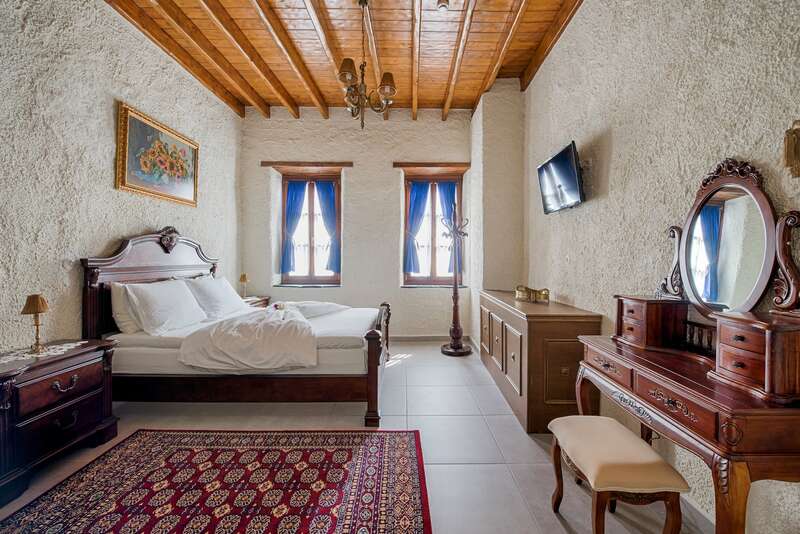 Authentic atmosphere, traditional architecture with wooden floors, arched doors, wooden furnishings, Coco-Mat bedding and mattresses and shady terraces, but without lacking modern amenities such as flat-screen TVs, hot tubs, fireplaces, minibar, air conditioning and Wi-Fi. 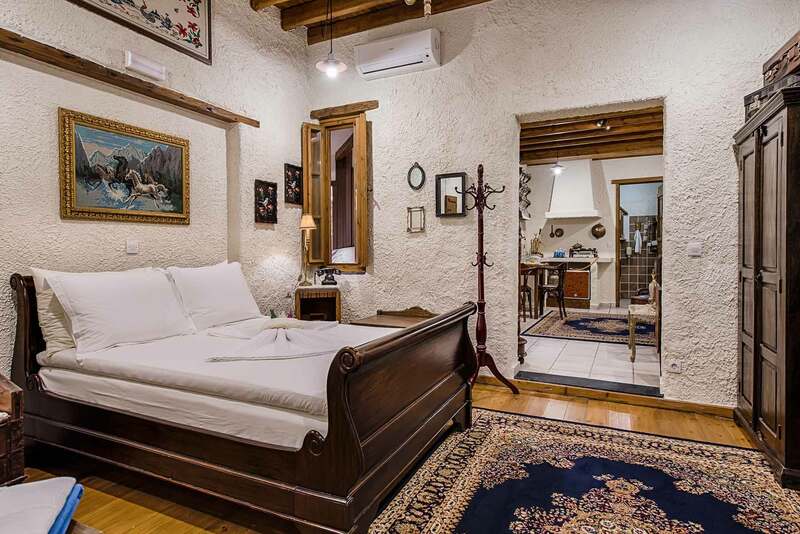 At the first-floor suites of Koukos Rhodian Guesthouse, you will live a unique accommodation experience with authentic traditional features that travel you back in time to a hospitable and carefree era, an experience that will deprive you of nothing, and all that in the bustling center of Rhodes. 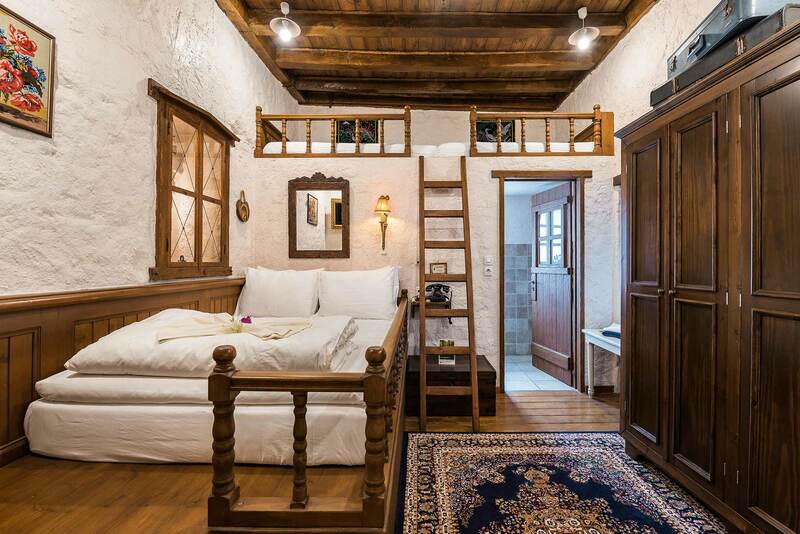 Kindly note that the first-floor suites are accessible only via stairs. 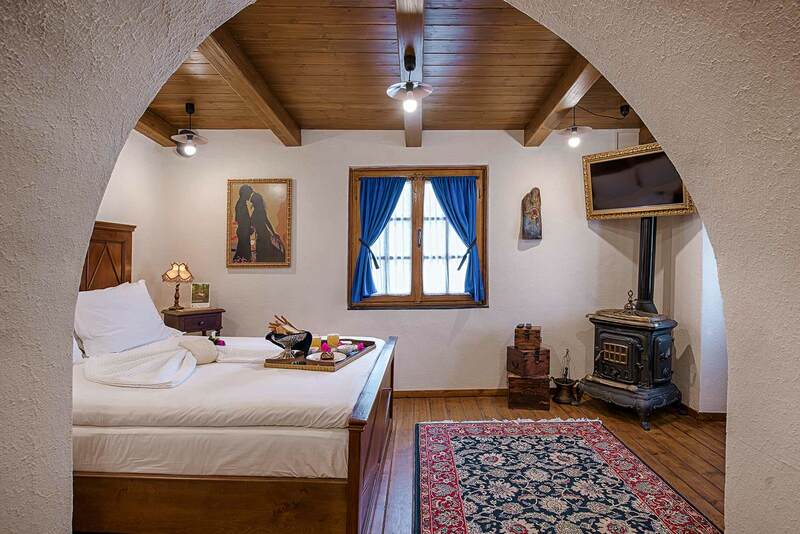 in Koukos Rhodian Guesthouse is open all year round.